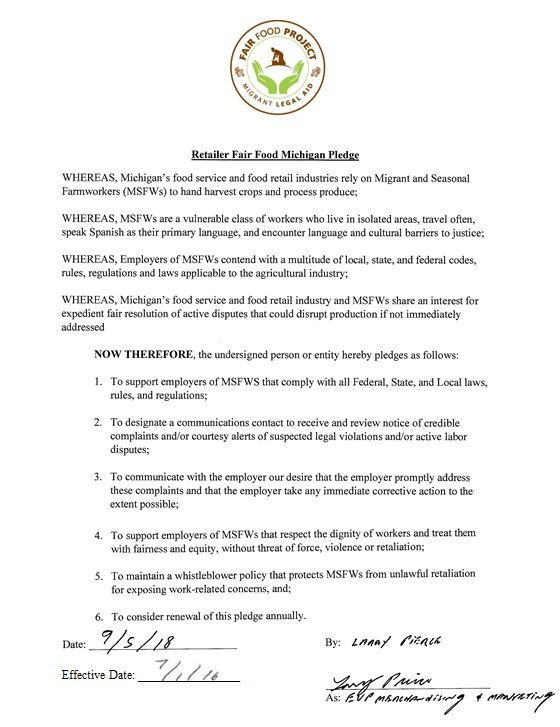 S partanNash is proud to be the first food distributor and retailer in Michigan to sign Migrant Legal Aid’s Fair Food Pledge, affirming our commitment to fair labor practices for the state’s more than 94,000 migrant and seasonal farmworkers and their families since 2016. 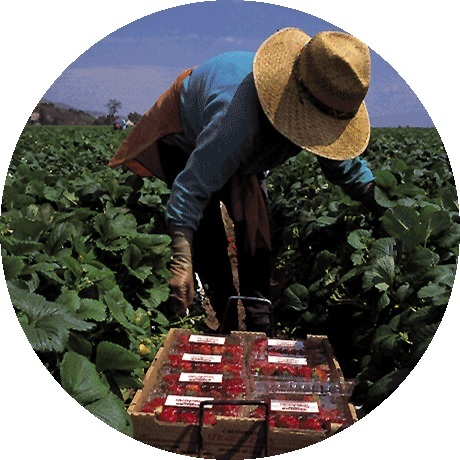 The Fair Food Pledge exemplifies SpartanNash’s commitment to corporate responsibility and upholding fair and equitable labor standards for the treatment of farmworkers. 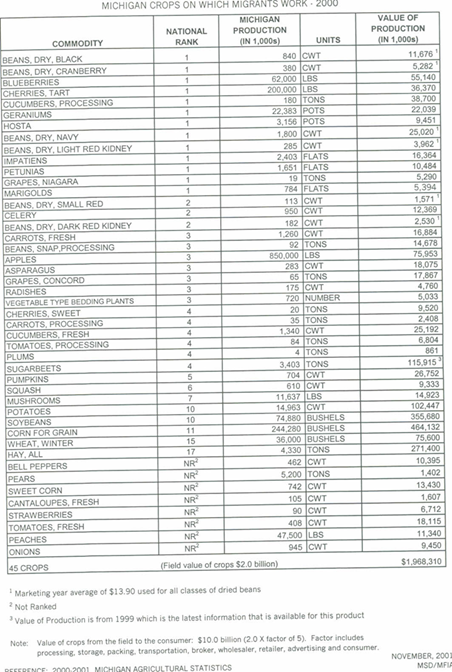 SpartanNash distributes fresh produce from 250 Michigan farms to its more than 155 corporate-owned stores and 2,100 independent customers, and we strive to run our business with integrity and accountability. Our customers purchase fresh fruits and vegetables at our stores and independent retailers every day, and we want them to know that as a company, we are committed to providing them with produce that has been harvested under safe and equitable working conditions.